Cloud-based payroll and HR that delivers everything you need—when and where you need it. The flexibility of in-house processing combined with the convenience of outsourcing. How can we help with your payroll? Find out. Maximize your workforce effectiveness with automated time and scheduling tools. How can we improve your time and labor management? Learn more. HR services, tools and resources for every company of every size. How can we streamline your HR? Get the details. 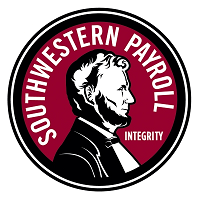 I am a business owner and Southwestern Payroll has been my payroll company for almost 10 years. In all that time, they have never made a mistake, and their team has always been great about pinging me when it's time to run payroll. They are super precise and great with details. They've saved my bacon quite a few times. I've been working with members of their team for so long that they're really more like family these days. I love my payroll company!